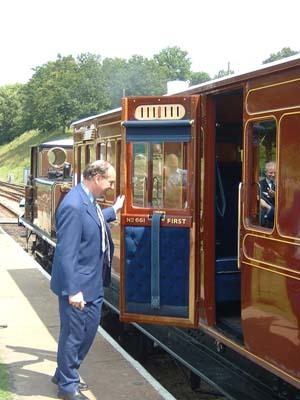 Complete and ready to receive passengers, 661 is launched into service by Norman Baker MP in front of a large crowd which included members of the family who owned "Wind Demon", the seaside bungalow at Bracklesham Bay in which the coach had been cocooned, and who had given the coach body to the railway in 1983. 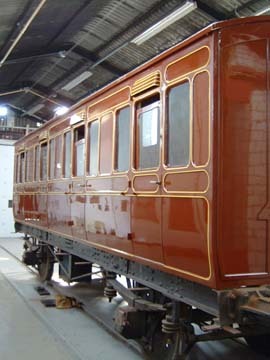 In top-coat and being lined. 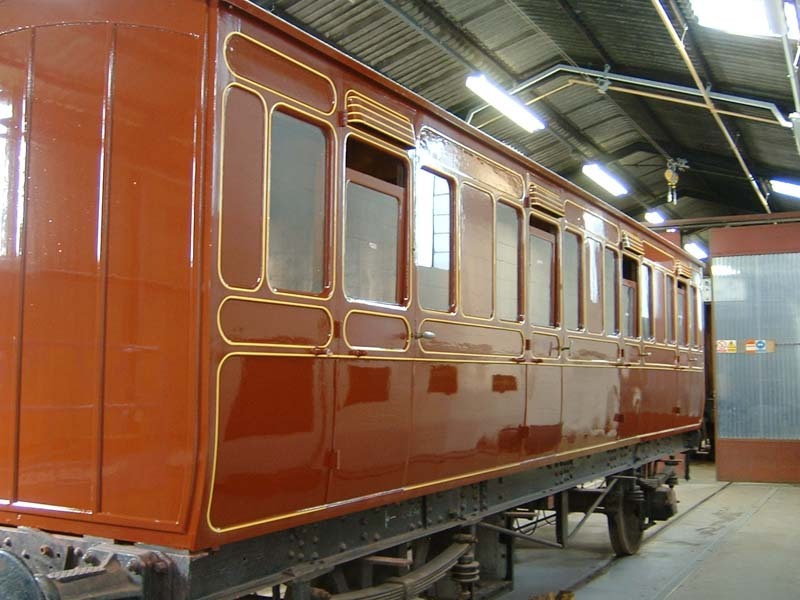 This side is lined, awaiting lettering and LBSCR Garter, the other side of the coach still awaits lining. 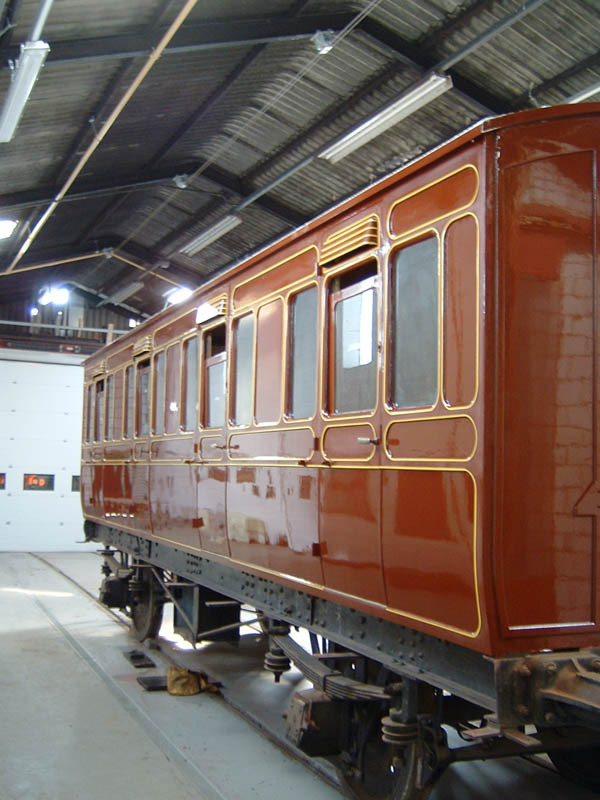 Once the lettering and lining is completed, and the coach varnished, it will then return to the main works area for completion of the electrics and interior. 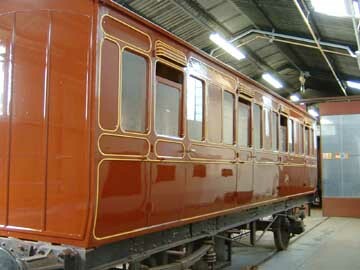 The coach entered the paint shop today. 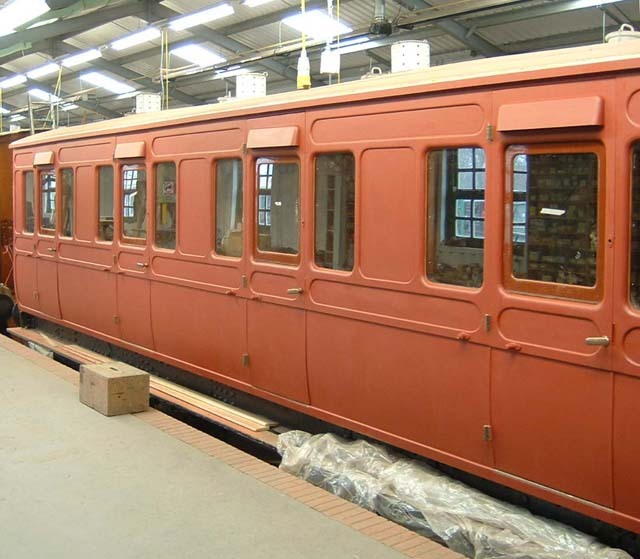 Paintwork is now progressing towards the time when the coach will be ready to enter the paintshop for final topcoats, lettering and lining. 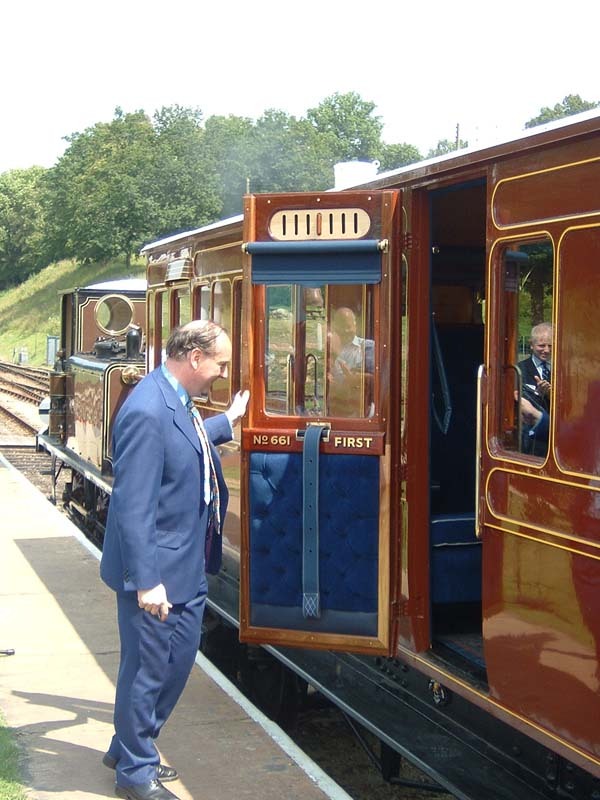 On the interior, American walnut mouldings surrounding the restored sycamore veneer panels are now going in, along with viewframes. The seats are now completed and ready to go in.